Plan Your Off-Site Facility Today. As more university libraries look to convert book storage areas into unique learning environments, off-campus shelving facilities are becoming a more intriguing storage alternative. Designing an off-site shelving facility requires many considerations beyond those of a typical warehouse. 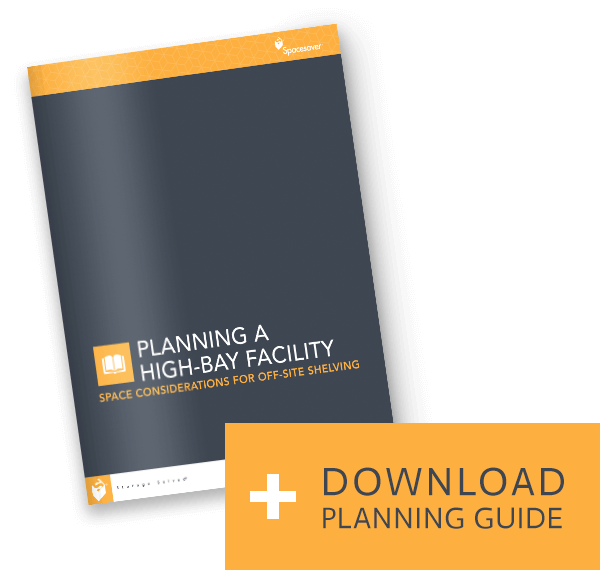 Learn more about how to begin planning for an off-site facility and how to decide what to move off-site by downloading our guide. START PLANNING MY OFF-SITE FACILITY.